Inspired by trying to reuse and do craft, I decided to supervise a craft activity with Jayden, my Naty nappy box and other bits and pieces. It was my husband’s birthday last week and Jayden and I made a frame! It looks pretty good too. It was easy to do. 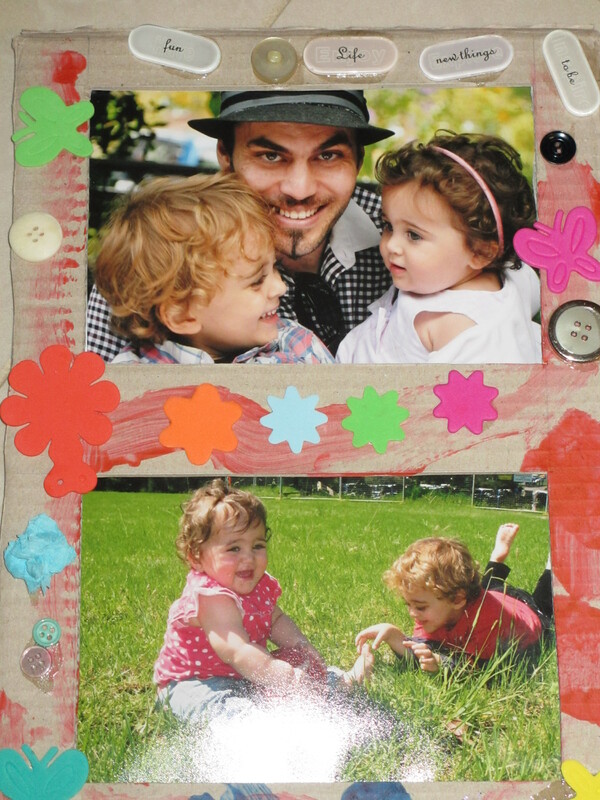 Cut out rectangles for where the photos went and make a backing for it with two bits of cardboard – one for the photos and one for the back of the frame – then get creative with your little one and put it all together. ~ by em0navari on July 5, 2012. This entry was posted on July 5, 2012 at 12:59 pm and is filed under Green Home, Kids Stuff.You can follow any responses to this entry through the RSS 2.0 feed.You can leave a response, or trackback from your own site.